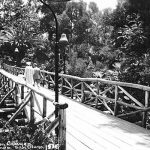 While the idea of rebuilding a piece of Balboa Park’s past is certainly appealing, I am concerned with the prioritization of this bridge project, given that the prospect of the Jacobs Plan “bypass” continues to loom over Alcazar Garden and its adjoining parking lot. 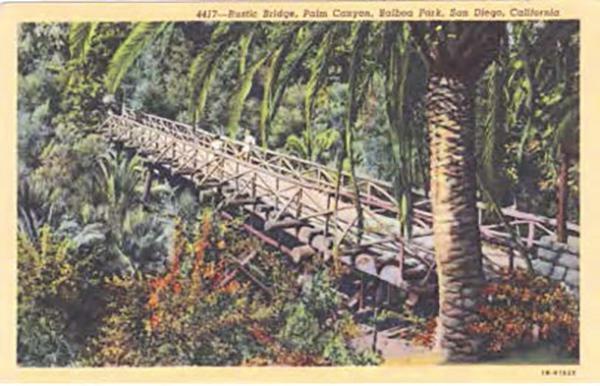 Rebuilding this bridge might be nice, but a path over Palm Canyon to the International Cottages is not “necessary.” I would rather see the Friends of Balboa Park focus on the threats to the park and on deferred maintenance than this focus on rebuilding a long-lost asset. Thank you. —Alex Sachs, via our website. I don’t see how this project will improve affordable housing? Eighteen new affordable vs. the existing 16 now on site? Two more doesn’t solve that issue. What will the rents or for-sale prices be for the remaining 186 units? That will tell us if those prices aid our housing situation or if just adding housing at any price adds to the solution. —Charles Kaminski, via our website. Face it. The future of the world is vertical, and prices to live in the city have always been high. Setback requirements should be law, to maintain context. —Tom Andresen, via our Facebook page. The only problem with this project is that the building is too short. —Scott Jackson, via our Facebook page. Biased much, Omar, project manager for the building? Your arguments have nearly zero merit. Your million-dollar condos will have little impact on our housing crisis, and I seriously doubt I’ll be running into your tenants on the #3 or #11 buses. And thanks so much for the 10K-square-foot park-like community space [courtyard]. Has the building height dimmed your memory of the much larger community space one block away? It’s called Balboa Park. It actually IS a park. —Aaron Markus Vaksvik, via our Facebook page. I love when developers talk about their contributions to the housing crisis as if expensive condos are just what the doctor ordered. It’s so self-serving. That said, if that lot is going to be developed I’d rather see “tall” rather than “wide.” I just hope the building is distinctive and not bland. You never know about these things until after it’s built. —Rob Cohen, via our Facebook page. Thank you, Omar Rawi and Uptown News, for writing this bit of sanity in the midst of so much histrionic discussion of this project. You summarize all the angles of how this project is well thought out. Looking forward to supporting it at the City Hall hearing. —Patrick S., via our website. I don’t know what the outcome of all this is, but if it passed, it clearly points to the fact that there is more dirty politics than common sense at play! —Carole Sachs, via our website. 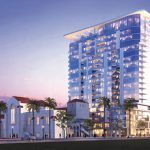 Chris Ward cannot possibly believe that voting for 200 luxury apartments, in a high rise (225 foot) building overlooking Balboa Park, will in any way help solve the affordable housing shortage we have in San Diego. Deep pockets to help fund his next political steps are a more likely justification. Shame on Chris who, just like his predecessor Todd Gloria of District 3, gives a farewell finger to the wishes of Uptown Planners, the true representatives of Uptown. 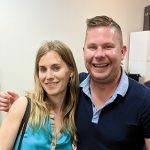 The project became part of the false narrative that not-in-my-backyard (NIMBY) individuals are trying to stop new development, and keep people out.” Why not just own up to the fact that Uptown United is a NIMBY group? A group who fights against this new development and fights against reasonable up-zoning in Hillcrest is a NIMBY group in my book. —Ray Larson, via our website. Instead of worrying about height limits, Uptown Planners should be focusing on the dead blocks and empty businesses throughout Hillcrest. I recently drove down University Avenue and was shocked to see so many vacant storefronts. Even businesses that have been there for years are gone. So sad. On the flip side, North Park, South Park and University Heights are all thriving. Let’s face it, Hillcrest is dying and I can’t believe how community leaders are OK with watching this once-vibrant neighborhood turn into a ghost town. —Justin Payton, via our website. Looks like a nice design, which will have its own two-level parking garage, and bring a significant number of living units into an ideal, central, highly-walkable infill location. I don’t see the height being an issue considering the AT&T building to the north is about the same height already, and, that this is a gateway location on and near major thoroughfares. Great work from Uptown United to get the setback increased on the north side; 7 1/2-feet definitely would have been too small there. Ideally, zoning should require additional setbacks for each floor. That would definitely have helped with shading and overall proportion and scale. —David Gleason, via our Facebook page. Councilmember Chris Ward stated in the Nov. 30 guest editorial that “Downtown’s on-street homeless population is decreasing,” framing it as a success story. This is a little disingenuous as that reduction came with a migration of the homeless population into the other neighborhoods of Mr. Ward’s District 3. It would be understandable and transparent if he acknowledged that moving the homeless population out of the Convention Center vicinity is important to the reputation of the city as a destination for conventions and tourism. However, not acknowledging the impact this has had upon residential communities minimizes the new reality of so many residents’ experiences. Stated another way, on-street homeless population is not decreasing in District 3. To the councilmember’s credit, he spearheaded the resolution to ensure supportive housing is distributed equitably to each of San Diego’s nine council districts. 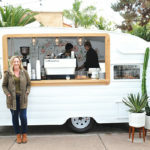 The great weather is no small factor in San Diego having the fourth largest homeless population in the nation after New York, Los Angeles and Seattle. District 3 currently bears more than its fair share for this metropolitan issue. 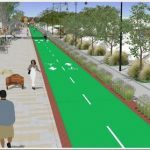 I hope the council follows through on its promise. —Letters to the editor are encouraged. We pull them from email, Facebook and comments submitted on our website. Letters are edited for grammar, clarity and sometimes trimmed to fit the space available in the newspaper. If you’d wish to send a letter to the editor directly, email sara@sdcnn.com.